A Startup LambdaTest is a cross-browser testing platform where the user can test their web applications across 2000+ different browser and operating system combinations. Users get on-demand access to the browser environment of their choice to test their app for compatibility. Each environment is running on real machines with real operating systems and real browsers. The company also offers the feature of taking automated full page screenshots across all 2000+ environments to quickly test the layout, check in a single click how your website will look across 36 different devices, and compare design and HTML images. 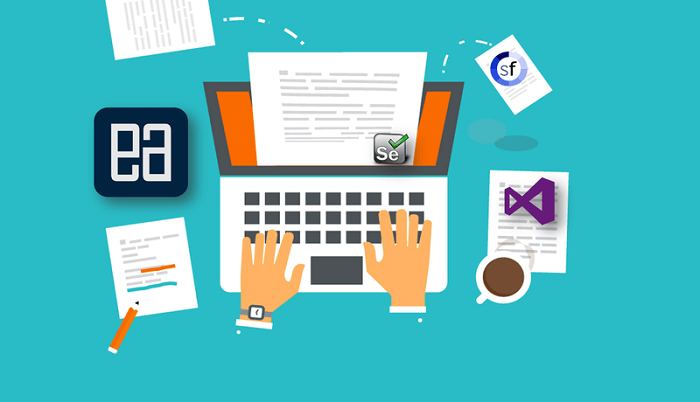 In addition, the LambdaTest platform also has single-click integration with popular project management and enterprise tools like Jira, Asana, Trello, Github, Gitlab, BitBucket, Slack, and Visual Studio Team Services. We are a one-year-old startup with a user based of 19000 developers and testers who are actively using the platform. LambdaTest offers a try before buy offer where all its features are offered free of cost to all for sixty minutes divided in 10 minutes session per login. The user can also avail uninterrupted services at as low as $15 per month on a subscription basis. LambdaTest is a user-centric and data-oriented company. In our journey to here, user feedbacks have played a very important role in polishing our product and delivering an outstanding customer service. The world here revolves around the users, not just the user-facing fronts but also the aspects of the company and platform which usually go hidden. The platform has been built on a multi-service architecture, making use of the latest technologies which makes the whole system flexible, scalable, and high performing. The platform can also be pretty easily integrated with most of the project management tools assisting in bug management. Since its inception in 2017 LambdaTest has raised a funding of $2 Million. By the end of 2018, the company aims at raising a funding of over $10 Million. LambdaTest aims at becoming the best cloud-based website testing platform surpassing its limited competition by 2020. The company has been hiring extensively and it plans to increase its workforce by a double by the end of 2018. The Founder of LambdaTest, Asad Khan is a big name in the field of testing. He started his career as a tester at Global Logic and then moved on to start his own testing company 360Logica, which focused on providing cutting-edge testing services to enterprises. The company grew to a strength of 300 people and had a clientele of brands like Walmart, Target, Xamarin and many more. His hands-on experience in the field of enterprise testing made him realize the need of an integrated software testing platform that is both scalable and flexible enough to help developer perform all types of testing. This was the main inspiration behind LambdaTest. We started this dream by launching a scalable browser compatibility testing platform LamdbaTest. The platform allows developers and testers to test their web apps on operating systems and browsers that they don’t have access to in-house.